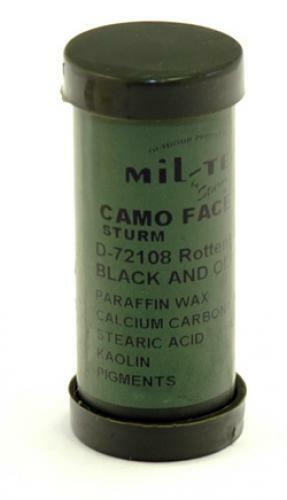 Face paint stick with green on one end and black on the other. Washes away with warm water and soap. If this does not work try a sponge or a brush. Factory new and made by Mil-Tec.